The Department of Homeland Security is “begging” parents to not put themselves or their children at risk following the death of a 7-year-old Guatemalan girl in the hospital hours after her father turned himself and his daughter in to Border Patrol officers in New Mexico. 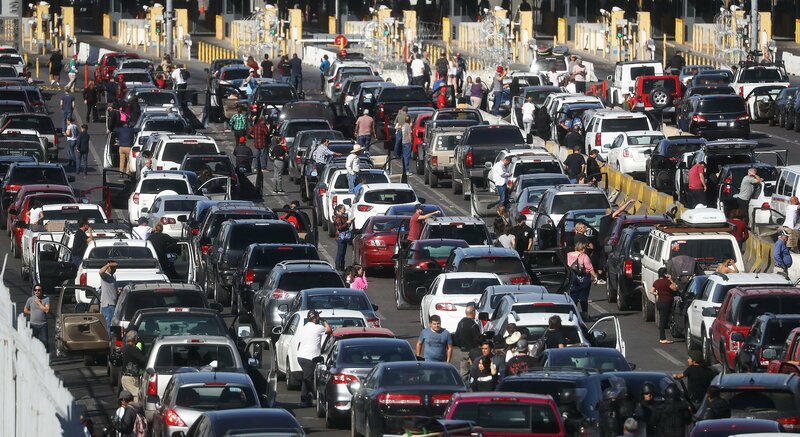 The father and daughter illegally crossed the Mexican border into the U.S., Customs and Border Protection said Thursday. They were part of a larger group of 163 migrants who turned themselves in Dec. 6, according to CBP records seen by The Washington Post. The young girl, whose name has not been released, began experiencing seizures around 6:25 a.m. after being taken to the facility. After local EMS arrived, she was determined to have a 105.7 degree fever. She was then transferred via air ambulance to El Paso, a DHS spokesperson told The Daily Caller News Foundation. “At the hospital, the child was revived after going into cardiac arrest. However, the child did not recover and died at the hospital less than 24 hours after being transported,” the DHS spokesperson said. She was in CBP custody for a total of eight hours, and had reportedly not eaten or drank anything for several days before. “Unfortunately, despite our best efforts and the best efforts of the medical team treating the child, we were unable to stop this tragedy from occurring. Once again, we are begging parents to not put themselves or their children at risk attempting to enter illegally,” DHS said in a statement. “I am devastated by reports of a 7 year-old girl who had been taken into custody by CBP who died due to dehydration and exhaustion,” Castro’s statement reads. “On behalf of the Department of Homeland Security, our sincerest condolences go out to the family of the child,” DHS’s statement said. The child’s death at the border comes amid a battle between Democrats and Republicans over a potential government shutdown related to funding for President Donald Trump’s border wall. Trump told House Minority Leader Nancy Pelosi and Senate Minority Leader Chuck Schumer Tuesday in a televised meeting in the Oval Office he’d shut down the government if Democrats don’t fund the wall. Schumer and Pelosi remained steadfast in their claims they would not provide additional funding, although no alternative to the shutdown has been raised.